Education in Haryana, Haryana Higher Secondary Education, Haryana Education. Haryana is one of the sensitive area of India. There was a time when education was not allowed to girl child in Haryana. But, in the last few years government of Haryana have really worked well to establish equality of education system. Today education in Haryana is no longer restricted to male child. There are various examples of females being professionals in various sectors of the nation. Today Haryana is rapidly adopting recognition as a popular educational hub. Many students have passed out their primary and secondary education from Haryana and pursuing a great career. Education in Haryana has become really innovative with inclusion of latest techniques. From very beginning people used to have a rich background of education in Haryana. With every passing year government is adopting specialized technique so that education in Haryana becomes more improved. The training of teachers and faculty and faculty members have been undertaken regularly by the ministry of education. Certain rules and regulation is followed by authorities to provide sophisticated education system in Haryana. According to the government and state, proper rules and innovation in course material will increase the standard of education in Haryana. In order to control both primary as well as secondary education in Haryana, government have kept various Councils and body to have a strict vigilance. There various scholars and pundits to make the education in Haryana better than before. Whether you speak about primary education or secondary, each facts and figures will be clear about innovative techniques. Today large number of students is getting education in schools and colleges that are established in Haryana. The inclusion of new methodologies in teaching technique has provided interest in each and every student in both primary as well as secondary level. Today, the students will not have to mug up each and every lesson without understanding. 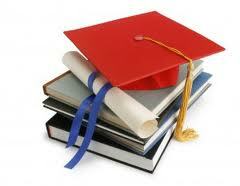 Education in Haryana has become practical with research oriented motive. Each subject has a practical definition and a project work. Students having a practical mind can definitely shine in flying colours. More facts will be associated with teaching methods.